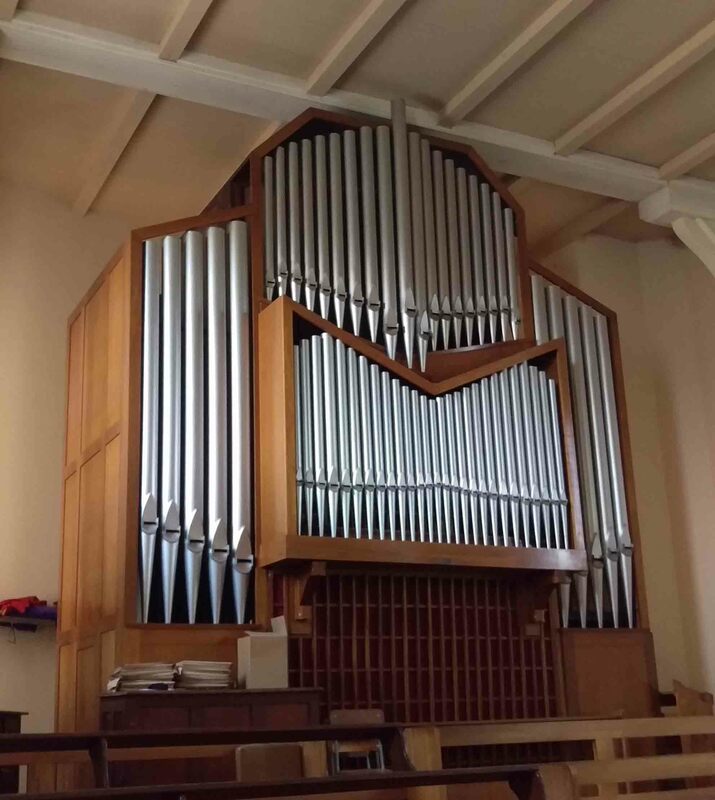 The organ was overhauled with minor changes to the specification, and revision of the console. 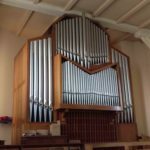 During the process, the musical speech and balance of the organ was carefully restored to its original style. Proposed specification: 3 manuals, 40 stops. The pipework will be cleaned on site and minor repairs undertaken. The Reeds and Mixtures to be returned to Durham for repairs and adjustments. Swell Diapason & Mixtures to be revised and new pipework to be made. A new low-voltage electrical system will be installed throughout the organ. Keyboards and pedalboard to be overhauled with an addition of new components to accommodate the new stop changes. A new lever magnet primary will be installed on the Cornopean unit chest and the key actions will be checked and adjusted. The main Swell soundboard to be modified to accommodate new string stops. The Cornopean chest will be revised to accommodate the Clarion extension; a new unit chest provided for Oboe unit; new Soundboard provided for Solo reed. The remaining soundboards will be opened up, cleaned, and altered. The rear case panels will be removed and revised to return to the west wall. Remaining case panels to be cleaned. The Swell box will be cleaned, wear will be taken up in its mechanism and will be extended westward to accommodate the additional stops on this division. New building frame will be installed for this purpose. The Open Wood and Bourdon chests will be moved westward to improve service access in the bottom of the organ. Passage-board at the upper level to be revised along with the provision of hand rails to improve safety of access to the Swell box.